When you think of Social Security, you may think of old age and retirement. 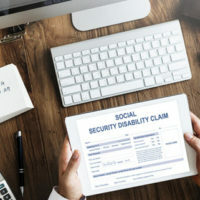 What you may not know is that Social Security offers a wide range of benefits, including monthly payments to those who are disabled. If you have been seriously injured and cannot work, you may be entitled to receive Social Security Disability benefits. Social Security is there to help you with unexpected situations like this. You are likely eligible to receive it if you have worked consistently during your adulthood. If you are suddenly experiencing an unexpected illness or injury, you may be able to receive financial assistance. Here are some things you should know about this program. Social Security Disability benefits must be earned. Not everyone is entitled to them. You pay into this program through Social Security taxes on the wages you earn. The monthly benefits can help replace your income if you are too sick or injured to work. Just because you think you are disabled does not mean you are. You must meet the criteria set forth by the Social Security Act. You are considered disabled if you have a medical condition that is expected to last at least one year or result in death. You cannot receive benefits for temporary or partial disability. A disability or serious illness can happen to anyone regardless of age. Therefore, you do not have to be a minimum age in order to file for Social Security Disability benefits. You do, however, need to have some work history in order to qualify. Many people try to earn money by defrauding the government. They think it is a simple way to earn money, but it’s not. It’s hard to do and you will likely get caught, which can result in fines, jail time and more penalties. Social Security takes a hard-nosed approach to fraud. They are committed to preventing fraud as much as possible. In fact, the incidence of fraud in the system is under 1 percent. Social Security Disability will not replace your wage 100 percent, but it will help to some degree. Currently, the average benefit is just under $1,200 a month. If you are used to making much more, this may be disappointing, but remember, it’s better than nothing. It should help with some of your basic needs. Social Security disability benefits are designed to help those in need. Even if you cannot work, these benefits can help support yourself and your family until you can return to work. Most likely, you have paid into these benefits over the years, so don’t miss out on them. The Law Office of Michael Lawrence Varon can determine your eligibility and help you understand what you are entitled to receive. To learn more, schedule a consultation by calling our office at 914-294-2145.